This is a spin on the lovely roasted wedges that I did earlier this year. It is basically the same thing, I’ve just cut the potatoes smaller and added spices instead of the peppers — which you could leave in should you wish to. Preparation is quick and easy, you don’t need to peel as many potatoes for breakfast as you do for dinner. Even better, you can peel the potatoes the night before and refrigerate, then just pull out to chop in the morning. 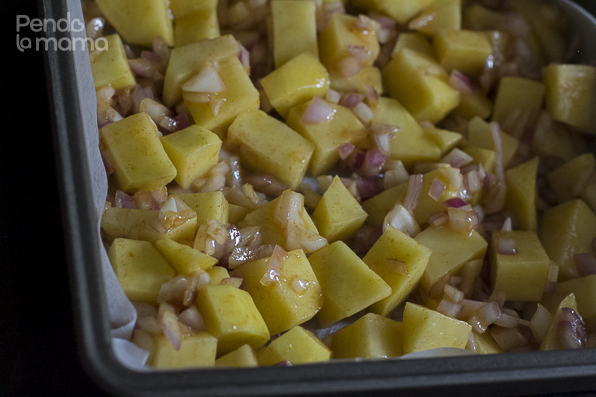 So chop up the potatoes to cubes, bite sized pieces, place in a bowl, add a chopped onion and spices of your choice. 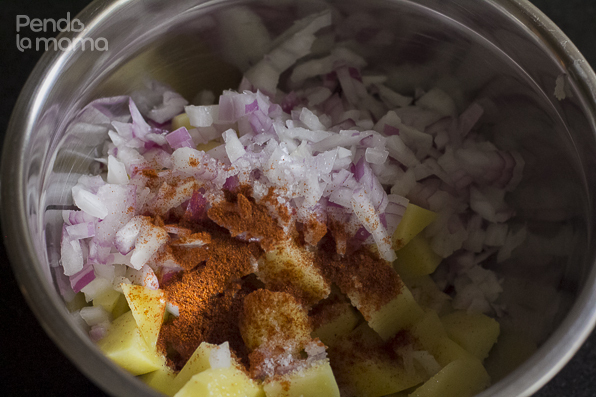 I add paprika, black pepper, turmeric and a little bit of chilli powder sometimes. Or just black pepper and mixed spices. It’s really up to you. This particular morning I was feeling simple, only added salt and paprika. Don’t forget to also add salt to your taste. 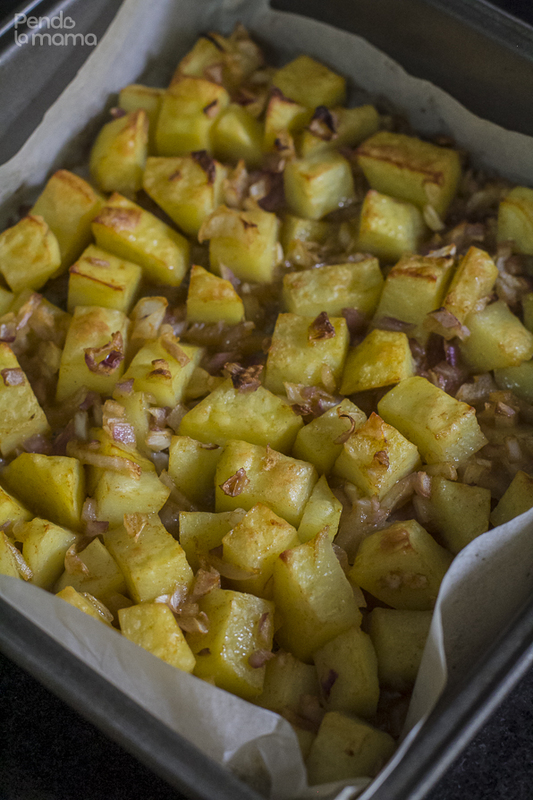 Stir with a spoon till potatoes are evenly coated, then place on a roasting pan lined with parchment paper. 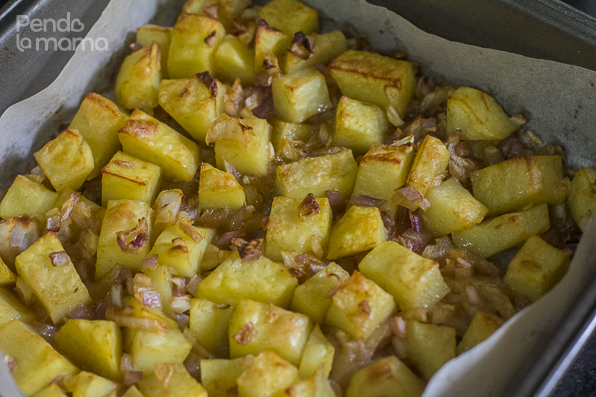 Place in the oven, on the second level tray from the top, at 180°C for 30 min. You want to observe after 30 min. They are cooked at that point, you can pull them out to serve. But if they don’t have those little golden brown kisses on the edges you can wait a little bit longer. Perhaps 5-10 min. How do you make your potatoes for breakfast? Share in the comments below! 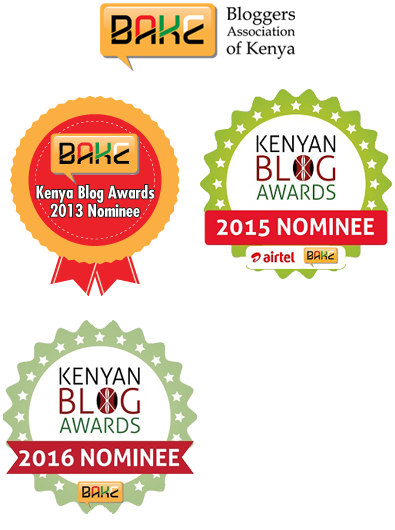 Am going to try this recipe over the weekend!! They look very delicious. I’m tempted to make some over the weekend!